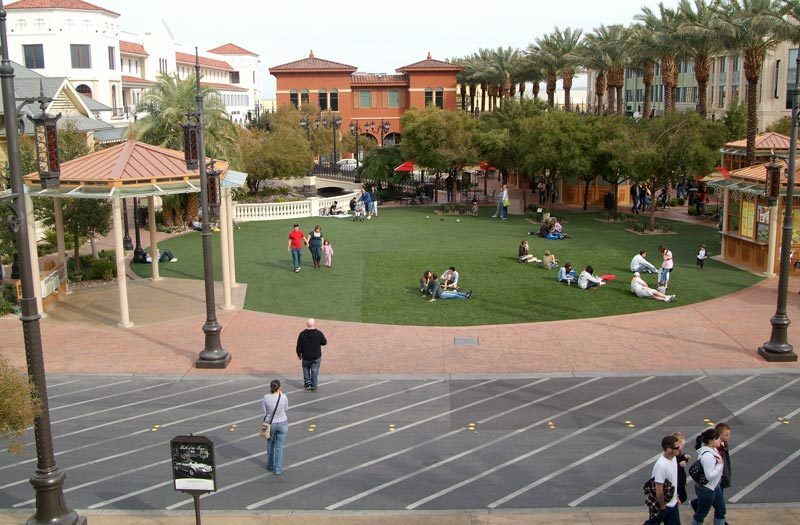 Town Square Las Vegas is a shopping, dining and entertainment center on Las Vegas Boulevard. The open-air center features an eclectic collection of shops including favorites H&M, Sephora, BCBGMAXAZRIA, bebe, Saks Fifth Avenue Off 5th and many more. Twenty-two buildings detail a collage of architectural styles, while pedestrian-friendly street and walkways provide the ideal atmosphere for enjoying a day with the family. Town Square also includes an 18-screen movie theater, Gameworks, an interactive children’s park and Town Square Park. Featured dining includes BRIO Tuscan Grille, Blue Martini, Texas de Brazil, Tommy Bahama’s Restaurant & Bar, Double Helix Wine & Whiskey Lounge, Kabuki Japanese Restaurant, Miller&rsquo;s Ale House, Yard House, California Pizza Kitchen and Claim Jumper. Also located in Town Square are Bonefish Grill, Pot Liquor and Fleming’s Prime Steakhouse. Feels Like A Real Downtown! When I first visited Town Square I delightfully surprised how much it felt like I was in a small downtown setting. It really reminded me of my own downtown in my small Midwestern town I’m from. The park in the middle was a really nice relaxed atmosphere for myself and my family to enjoy the beautiful weather. Town Square has just about all the shopping and dining we needed. If you’re coming to Vegas, be sure to checkout Town Square as I’m sure you won’t be disappointed as we were definitely not!